When asked about Redondo Beach’s current policy for leasing city-controlled property on the pier, Councilman Christian Horvath paused before choosing his words deliberately. “The city’s in a bit of a pickle,” Horvath said. Redondo Beach’s current land lease policy is simple: had the lease been controlled by CenterCal as part of a deal for a planned redevelopment of the city’s waterfront, Redondo wouldn’t be renting it. That puts approximately 66 current land-side tenants who are under that umbrella in a precarious position: stick around under short-term leases, or find a new place for your business. And without the ability to create or modify leases for tenants, the City is in danger of losing sought-after revenue during a period of income stagnation. For more than a year, the City of Redondo Beach has been locked in litigation with Redondo Beach Waterfront, LLC, a subsidiary of CenterCal Properties, over severed agreements to build the Waterfront: Redondo Beach redevelopment project. Starting in the late 2000s, Redondo Beach began buying back the rights to a series of leaseholds throughout King Harbor with the aim of consolidating them for a public-private partnership with a developer to renovate the city’s aging waterfront. In early 2017, the City Council approved a complex lease framework deal — the Agreement for Lease of Property and Infrastructure Financing, or ALPIF — that, in part, required new leases to have two caveats. First, that the City could terminate the leases with no more than six months notice; and that RBW LLC must approve of those leases. After that agreement, a few things happened: In March 2017, Mayoral and City Council candidates opposed to the CenterCal plan were elected on the strength of a harbor rezoning plan that aimed to choke out the project. In November 2017, the City severed the ALPIF deal following a pair of lawsuits from RBW LLC rooted in the results of that March election. Though the City’s position is that the ALPIF is dead, its current policy is to refrain from entering into new lease deals, or alter existing agreements, to prevent exposing itself to possible legal liability. Mayor — and former Councilman — Bill Brand is quick to state that the previous Council is responsible for the freeze by approving the ALPIF when it wasn’t required to. Brand was one of two votes against the deal. Horvath, who supported the CenterCal project, argues that Brand’s version is “circuitous” and politically motivated, though he declined to expand, saying he did not want to violate California’s open meeting laws. Under California statute, leases without options for renewals or extensions become short-term, month-to-month leases, so long as both the landlord and the lessee agree to the status change. But in recent years — with plans for a major redevelopment shaking up the leasehold status quo — the City opted against issuing renewal options in agreements with new tenants, leaving those options solely in the hands of legacy tenants, such as Ruby’s Diner (which recently opted out of its renewal, and can go month-to-month at the end of its contract this summer) and Captain Kidd’s (which recently exercised a five-year extension option). The result is that most leaseholds stretching from Portofino Way south to Torrance Boulevard are stuck in stasis. Tenants who want to extend their deals are put on hold. Tenants who want to grow into larger spaces stagnate. Tenants who want to downsize their existing spaces are stuck. Combine the situation with the natural attrition of tenants, and areas like the city’s Pier Plaza office complex have seen their occupancy drop from approximately 99 percent two years ago to about 85 percent today. Sanjive Chandrasekhar, owner of Riviera Village Travel, left Pier Plaza in early 2019 after five years in business. He had relocated to the pier when his South Redondo landlord gave him a choice to rent too large a space, or move out. His pier-area office, overlooking the ocean, was a perfect place to meet potential clients who were looking to him to book their vacations. But after a while, Chandrasekhar wanted to move to a smaller space, and because of the leasing freeze, he and the City couldn’t make it work. “I was told I had ‘first dibs.’ I put in my letter of intent. But it didn’t come up on any of the agendas for the City, and a few weeks before the lease was to expire, I called and asked what was going on,” Chandrasekhar said. That’s when he learned about the leasing freeze. Chandrasekhar could have gone month to month, but that didn’t work for him or his business. “The city couldn’t tell me what they wanted to do — I asked if I could move in and they figure out later, they said no. But that place was too large for me,” Chandrasekhar said. Now he mostly operates his business remotely, with meetings in a Torrance office space. It works, but lacks the view. For the last few years, Susanna Litton has gone to work little more than a stone’s throw from the water. Litton owns Mother Nurture Network, which provides support and classes to help new parents. Three years ago this week, Litton’s company moved into its Pier Plaza digs, just above the Redondo Municipal Pier and atop the city’s pier parking structure. Litton doesn’t want to get into the lease logistics (she said that she’s very happy with how she and her business have been treated in her dealings with the city) though she acknowledged that she signed on for the space knowing that she may have to clear out in case of a redevelopment. That’s good news to Campbell. His theory in managing the city’s pier-area leases has been to ensure a mix of creativity and liveliness in and around Pier Plaza. That’s led to leases with buzzing, child-friendly operations such as Mother Nurture and the Savoir Faire Language Institute, which includes preschool, after-school and tutoring programs. Creating that blend could go a long way to retaining other exciting tenants, such as Ozobot, a tech company that creates robotics and computer coding teaching tools. Ozobot’s offices are currently scattered in multiple units throughout Pier Plaza, and lease modifications could allow such a company to consolidate into one large space, rather than moving to large spaces outside of Redondo. The city’s options, however, are limited. In order to make the investments and improvements to retain old tenants and secure new ones, the leasing freeze needs to be solved. One possible option — which elected officials would not confirm was in the works, owing again to California’s open meeting laws — is through a legal settlement with RBW LLC. Bruning said that a key to any deal would ensure that CenterCal’s financial partner in RBW LLC, Westport Capital, recoups its investment. Mayor Brand agreed, with a caveat. “I’ve always been in favor of a settlement of some sort. But it’s hard when you’re being personally sued, and the developer is hiding behind shills,” Brand said, referring to a personal lawsuit brought forward by two Redondo Beach residents who claimed Brand, City Councilman Nils Nehrenheim and a like-minded political action committee had broken election law to illegally strategize. The judge in the case ruled in Brand’s favor, and called plaintiffs Chris Voisey and Arnette Travis “shills” after it was discovered that RBW LLC was paying the plaintiff’s attorney, Bradley Hertz. 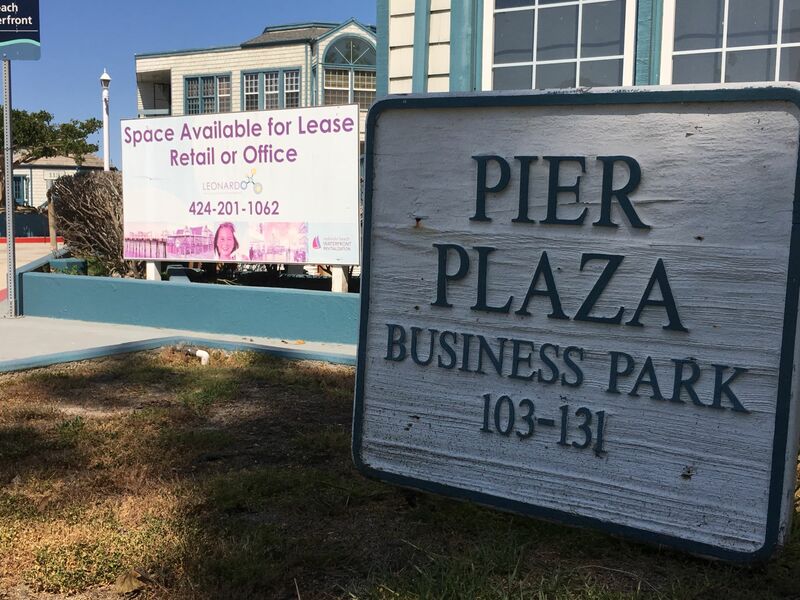 Such a settlement could be a boon to rejuvenate the Pier Plaza area, which grew to its near-complete occupancy after climbing up from about 60 percent tenancy in the late 2000s. The rest of the ALPIF-shadowed leaseholds would also be freed up, potentially clearing the way for developer Leo Pustilnikov, who has demonstrated interest in leaseholds across the pier area.